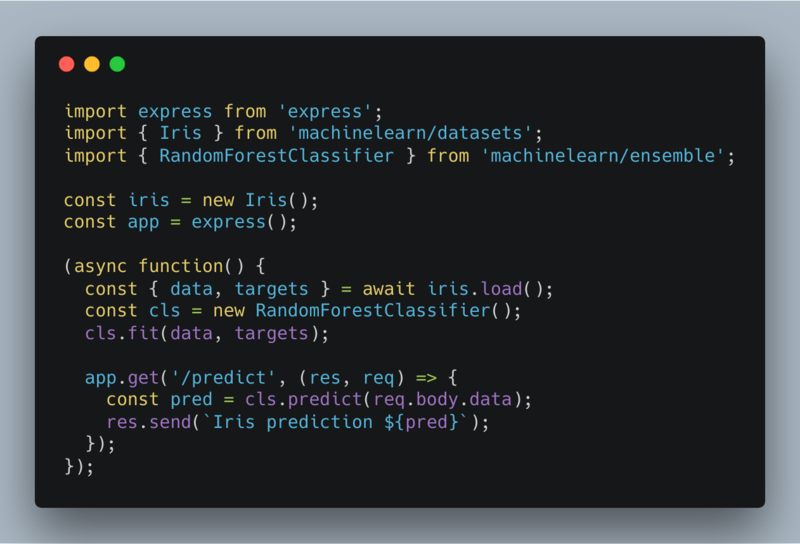 Machine Learning library for the web and Node. "Simplicity is the ultimate sophistication"; machinelearn.js aims to solve the problem of complixity in Machine Learning through Web technologies. You no longer need to start from the underlying math for Machine Learning. The library is designed to help you solve ML problems by guiding you in plain English and demos.